This post was updated for WebLearn 11 on 24 January 2017. 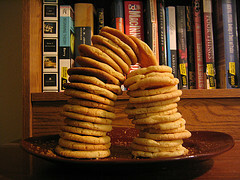 In the light of the EU Cookie law, we thought it would be a good idea to detail what cookies are used by WebLearn 11. We consider all of these to be essential for the service, none of them persist after the session has ended. jsMath – wiki, has the user been shown the missing jsMath fonts warning message? The only cookie that links to personal data is JSESSION. Since version 2.10-ox1.3, WebLearn also uses Google Analytics cookies. Google Analytics is used to collect anonymous data which gives the central WebLearn team more information as to how WebLearn is used. Site maintainers can upload content that sets cookies. We cannot effectively police these third party cookies and hope that they are only used when necessary. We are happy to contact site owners if any users feel that such cookies are not essential.